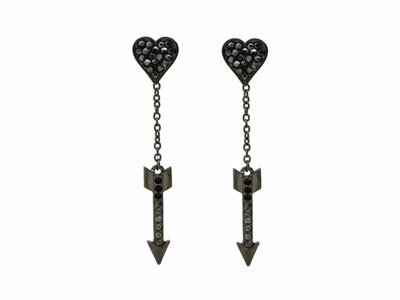 Polished gunmetal 1 3/8" arrows dangle on fine chains from 5/8" hearts covered with dazzling smoky grey pave crystals in these stylish designer-look pierced post earrings. Lead Compliant. 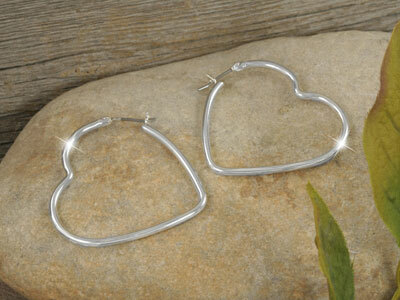 Polished silvertone 1 3/8" hearts form these elegant designer-style pierced earrings with snap-lock closures. Lead Compliant. 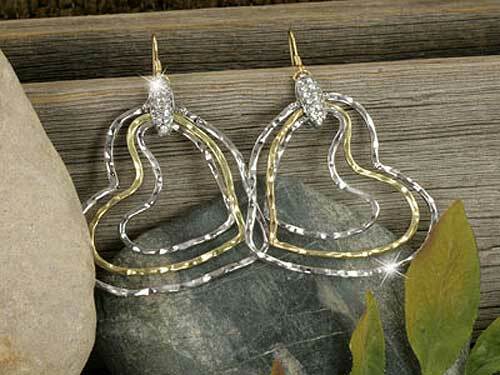 Hammered gold- and silver-tone hearts linked by a pretty band of sparkling clear pave crystals form these elegant 2 1/8" designer-style pierced wire earrings. Lead Compliant. 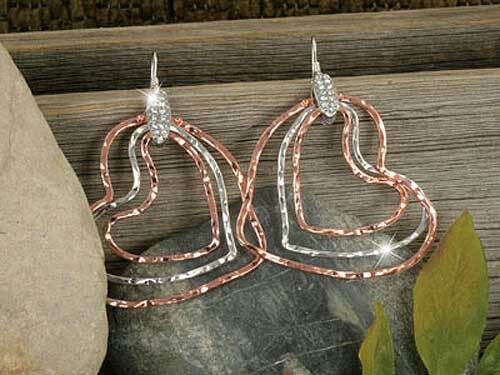 Hammered copper- and silver-tone hearts linked by a pretty band of sparkling clear pave crystals form these elegant 2 1/8" designer-style pierced wire earrings. Lead Compliant. Super cute! 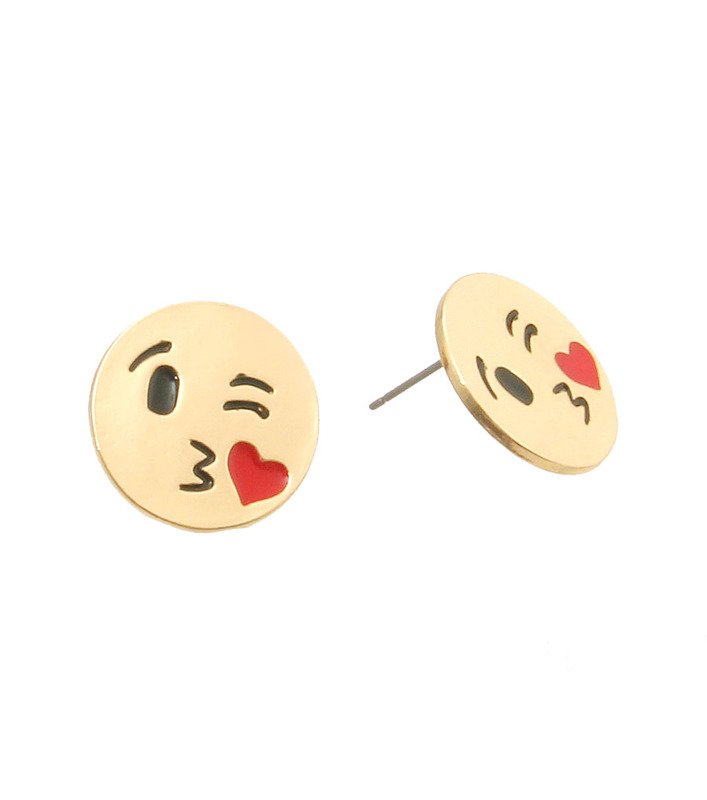 If you love using emojis, then you will love wearing these! Get Yours!